[UPDATE] The promotion has now begun. Considering subscribing to EA Access? Starting tomorrow, January 19, all Xbox Live Gold members can try out the subscription service for free and get access to more than a dozen free games to play. Though the free week doesn’t start until tomorrow, you can download the EA Access app from the Gold Member area of the Xbox One dashboard today. 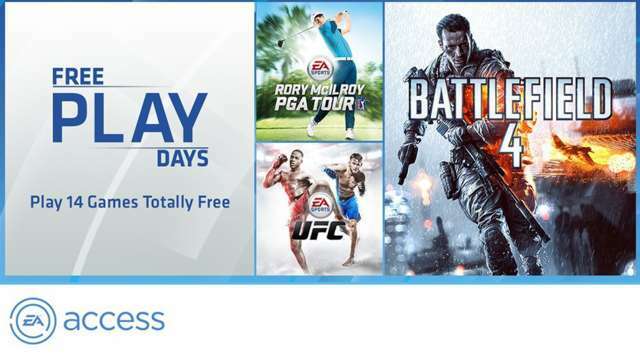 The free EA Access weekend on Xbox One runs until January 24. After that, you can subscribe for $5/month or $30/year. Other benefits include five-day early access to upcoming EA games and a 10 percent discount on all EA digital content. EA Access is only available on the Xbox One. Sony said no to the program coming to PlayStation 4 because it wasn’t a “good value” for PlayStation fans. EA recently launched a similar program called Origin Access on PC, though this free week is only available on Xbox One.